While I mostly like buying individual stocks, sometimes an Exchange Traded Fund (ETF) is a smarter solution. What ETFs do is they let you buy a basket of stocks as easily as buying a single stock. 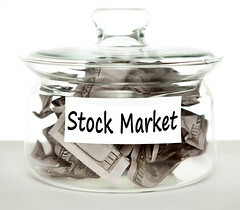 While Mutual Funds also offer baskets of stocks, they are a longer term hold because they often have a minimum cost to buy into the fund and they charge you fees in exchange for managing your fund. In most cases, I’d rather manage my own money than let a pro hang on to it. But not in all cases. Where I do like mutual funds is in my corporate 401K offerings. You usually get to choose among several funds to diversify your long term portfolio. Which is great for financing my retirement. But for making money right now, I’d rather run my own show. The problem is that I recognize I’m not an expert on lots of industries. What I do know is that some industries are growth areas but I don’t know which stocks to pick. That’s where I find an ETF is a great solution. For example, I’m a big believer in biotech stocks because our knowledge about gene therapy and custom medicines continues to yield great breakthroughs. But there’s also a lot of duds out there and many biotech firms are still quite small. So how do you decide which ones to bet on. What I did, instead, was do a google search for best ETFs in biotech and then further check them out on Yahoo Finance to see which had the better track record and stock prices. And then I bought a little. Now, I’m in biotech and I don’t have to worry that all my money will disappear with one bad pick. It’s russian roulette in reverse. I’m hoping that all my stock pick are bullets but as a practical StockPicknMama I know that some will come up empty! Here’s my two biotech ETF favorites right now: SPDR S&P Pharmaceuticals (XPH) and iShares Nasdaq Biotechnology (IBB). I’m also using ETFs to buy stocks in emerging economies globally. It’s hard to buy many international stocks because they aren’t traded on our exchanges. But they may be traded through an ETF. For example, I like these ETFs which, over a period of years, have done well for me. And I just bought into a Japan ETF –iShares MSCI Japan Index (EWJ)– because while their economy is finally rolling again, I don’t know enough to judge which Japanese stocks will rule the future. So to ETF or not to ETF? When I’m itching to buy stocks in a certain market but don’t know which to buy, I like ETFs. If I’m looking to hold and walk away, I’d pick a mutual fund. And if I want to take my chances because I’ve read a lot about an individual stock, then I buy a little directly and if I keep liking it, I buy more. As always, while I name specific stocks, ETFs and funds to help you understand the process I go through to pick my investments, they are not recommendations to buy or sell. This entry was tagged Biotechnology, ETF, Exchange Traded Fund, IShares, Mutual fund, SPDR, Yahoo Finance. Bookmark the permalink. ← Why I love Yahoo. And their stock’s not bad either!